Dichroic on Clear Transparent, Green/Magenta, Thin-rolled, 2 mm, Fusible, 3x3 in. 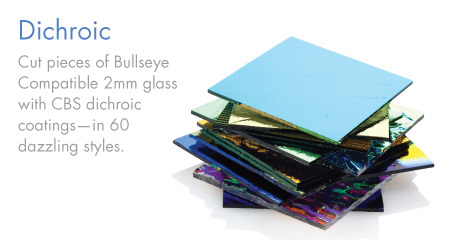 Dichroic on Clear Transparent, Large Boxes, Thin-rolled, 2 mm, Fusible, 3x3 in. Dichroic on Clear Transparent, Large Dots, Thin-rolled, 2 mm, Fusible, 3x3 in.